Dwell by Cheryl: "My First Goodwill Guest Post!" 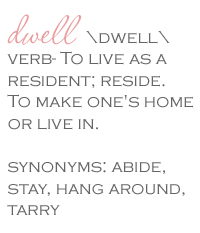 When I started on this adventure called "Dwell by Cheryl" I had no idea where it would lead. I did however, set a few goals for my first year in operation. One of which, was guest blogging for Goodwill of the Southern Piedmont. 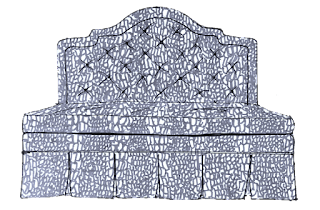 I stumbled upon their blog through one of the blogs of a local home stylist I follow and have followed it ever since. It's no secret that I love Goodwill and I tweet, post and blog about them every time I have an opportunity to do so. But to be asked to guest post for them is a huge honor. One that I'm extremely excited about. Goodwill does great things for our local community and I'm honored to help out and promote them whenever I can. So, check out my guest post on the Wow! Goodwill blog. Simply click HERE to learn how to create a Value Priced Vignette! Be sure to leave a comment on their site, perhaps they'll ask me to blog for them again. Thanks so much for your support and encouragement. I appreciate it more than words can express.